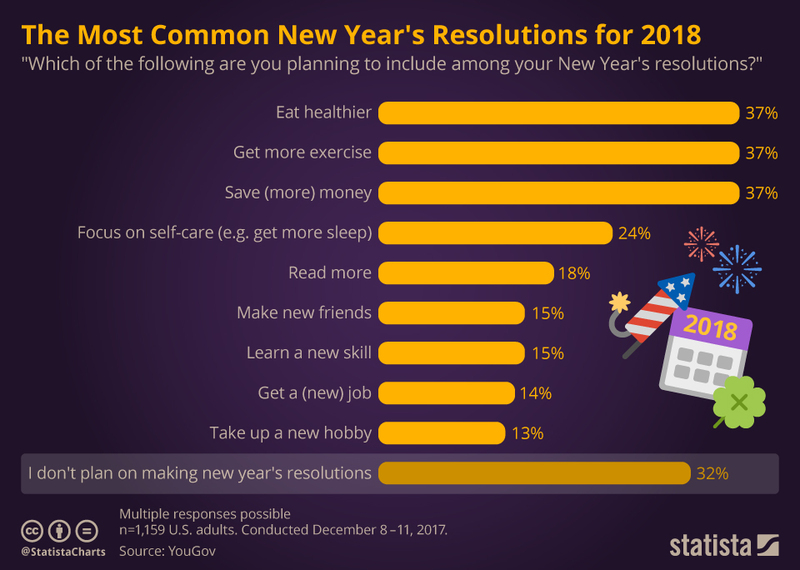 “The New Year – The New You” – What are the most common NEW YEAR’S RESOLUTIONS? I just read a new study about NEW YEAR’S RESOLUTIONS! Do you know what most people choose for the New Years Resolution! Have a look here at this chart! Most people choose physical goals, like hoping to eat better, to exercise more and to save money! I will be part of the panel discussion and want to invite you to this event. As you know I’m in the business of helping people realize their live’s purpose, to live their dreams, and that is part of our vision and mission of our company LIVING FROM VISION which my husband and I started in 1987. New year’s resolutions often have to do with hoping to change some very fundamental stubborn behaviors, which people have a hard time getting over. HOWEVER, most people fail at that. That is not news! BUT did you know that we do much better when we think of achieving several smaller goals? By setting specific goals, like how much and what kind of exercise you are going to do, you are more likely to succeed. AND we can focus on our goals again and again throughout the year, and not only for the first two weeks in January! Goals can be set throughout the year and can change over the years, depending on whether and how much of your goal you have managed to manifest. What GOALS and NEW YEAR’s RESOLUTIONS have in common is that people wish to evolve, to change, to improve. The New Year brings us to a cyclical same point in time at a new level. It offers us a chance to review and to compare our evolutionary progress. 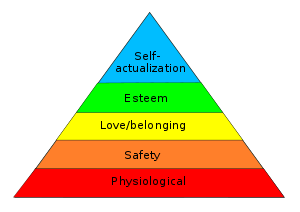 I see that the Maslow’s hierarchy of needs often applies to people’s goal-setting and their new year’s resolution. The areas in which people have already manifested mastery, becomes the bases for the next level of gpoals which will lead to the next level of mastery. In other words, people who master the physical survival issues, inlcuding health and exercise and money, they then tackle the next level of creative expression. The next level beyond creative expression is self-actualization and development of the higher functions of being human. In Living From Vision we help people set their goals throughout the year and stick with their goals, and not just make it a onetime New Year’s Resolution that usually lasts about two weeks. The important part about resolutions and goal setting is that we stay with them. Repetition as the name of the game of success in regards to resolutions. on the 6th January 2019 in a Panel Discusison about NEW YEARS RESOLUTION and REINVENTING YOU. “New Year, New You,” on Sunday, January 6. Deborah: When did you start to realize the power of visualization? Ilona: Before I realized the power of the imagination, I was inspired to learn about it. Television series such as I Dream of Jeannie, and the fairytale, Aladdin and the Wonder Lamp riveted my attention as a child. Although we did not have a television at home when I was a child, and I still don’t, my grandparents had one. Let me digress a little first. The stories we choose to fill our minds with when we are children have a huge impact on our life’s path. Whatever we focus on when we are children, often become our ideals, influencing our life’s choices. I’m very grateful that in the sixties, we had gentler movies and more benign stories than the ones children are bombarded with nowadays. The images and ideals that children see in this modern day can be very dangerous. Shooting, and warlike behavior are being fostered in children as if to prepare them for such a life, whether it’s movies, apps or Game Boys. These images and emotions direct the children’s mind to set goals unconsciously, becoming real when they reach adulthood. We have yet to fully understand these influences. I began to realize the power of visualization when I was around ten years old. I figured out that when I focused attention on something I did not want, I ended up getting it! To prove my theory, I focused my attention of not wanting a bicycle for Christmas. As I expected, I received a bicycle for Christmas. Although I told the universe I did not want the bike, I visualized the bike in the process. Later I understood that we get what we focus our attention on. It does not matter whether or not we put a huge “not” in front of the item we are focusing on. Deborah: How did you start using the power of visualization with children? Ilona: As I grew older, I read about yogis who have supreme powers of the mind, and how they utilize these methods through meditation. I also studied psychotherapy techniques that utilize imagery exercises to solve problems. When I started teaching seminars at the age of 30, children also came. Later I was asked to guide children in the use of their imagination. I remember so clearly the moment when a little girl who was mute, first started to speak. I had asked the children to visualize their Place of Peace, and to connect with their Ideal Self. The girl’s grammar school teacher who attended the session, wanted me to stop asking questions of this little girl. The teacher had never had any results herself, and did not want to burden the child. When I asked the girl about her experiences from the guided imagery, the girl started speaking, whereas she had never talked before. I could feel that she had an answer and was ready to speak. All I needed was to be patient enough for her articulate the first word from her lips. She said “blue.” That was the beginning for her. From then on, she started talking and hugging people again in her life. Deborah: How does it help children who have different ways of being? Ilona: Many children who are very sensitive need attentive parents. Giving space allows children with gentler natures to express themselves. When teachers and parents slow their minds down to enter an imaginary world, to enter the multidimensional world, they start developing the capacity to listen to the children from the inside out. By slowing down, we give children the time they need to fully express themselves. When children feel understood with their multidimensional experiences, they feel safe to open up to others. Deborah: Please give a couple of examples. 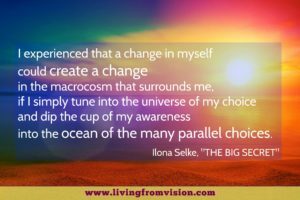 Ilona: One time I gave a guided imagery exercise to a number of teenagers in Germany. I asked the children to connect with their Place of Peace, as well as with their Higher Selves. I asked them to commune with the higher part of themselves to get answers for their lives. One of the children was deeply moved by the end of the session. She connected with the Higher Self of her boyfriend, who was using drugs. The Higher Self of her boyfriend told her how much he needed her help. This information alone gave her the strength not to follow the same road as her boyfriend. It gave her the realization that the higher part of him wanted to stop drugs and needed her help. Guiding children to hear their inner voice, gives them the capacity to strengthen their own sense of right and wrong. Developing the ability to listen to one’s own conscience is paramount in evolution. If we rely on law or external forces to keep us on the “right” road, we don’t truly become evolved souls. We need to listen to our own inner voice. Guided imagery is a way to access this higher dimension within ourselves. There was another child who was afraid of being on a train by herself. Unlike India, trains in Germany are quite safe. However, this little girl didn’t feel safe. She used some of the techniques I wrote in a book for children, called, Aline learns to use his imagination. Instead of avoiding her fear, she allowed it to guider her in what she really needed. Through the process of communicating with the fear inside of her, she realized she had the need to feel strong and safe. After her own internal processing, she travelled on a train with confidence and a sense of safety. Now at the age of 30, she recalls this as being a pivotal changing point in her life! When we use imagery, we not only create changes in our emotional body, but also in the real, external world. The connection between our imagination and actualizing it in our reality is the least understood in our modern world! Our imagination creates holographic resonance patterns that then become the blueprint for our external reality. Deborah: How does it help all children? Ilona: Accessing higher parts of ourselves gives us a guidance system from within. When children learn to communicate with their negative emotions, they empower themselves from the inside out. Dr. Vernon Wolf developed a technique called Holodynamics that helped many teenager overcome drug additions during the 1980’s. Dr. Bobby Barnes used these same techniques as well to help a group of at-risk children that were about to drop out of school. After two months of this visualization, the children were back to scholastic standings. Deborah: Please share with us anything else you would like us know about visualization. Ilona: Visualization is a tool to help us create a better life, to turn problems into solutions, to create positive emotions out of negative emotions, and to help us achieve our goals. Beyond being a tool, the imagination is truly a portal into higher dimensions. It allows us to go beyond the logical, rational, and linear mind to create the miraculous. The imagination is a function of the higher mind and consciousness that is located outside and beyond the physical body. It lies beyond the confines of our brain and logical mind. Learning to use methods of visualization not only helps us to become psychologically better equipped, but to become spiritually more evolved beings. I know of children who learned this method when they were three to six years old. They are now living a spiritually integrated life. They understand how the higher functions of their consciousness create their reality in what we call Life on Earth. The imagination is truly a backdoor for our spiritual evolution. 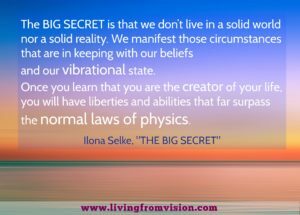 Ilona Selke is an author, seminar teacher, and musician who was born in the Himalayan Mountains to her German parents in 1961. 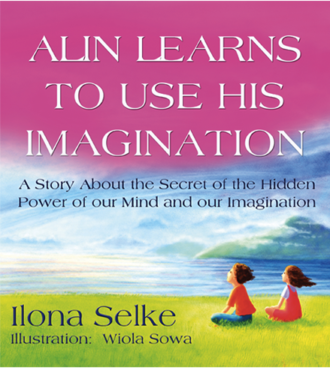 Her book ALIN LEARN TO USE HIS IMAGINATION is now a bestseller book in Germany. It helps children access their visualization abilities, and assists them to solve their emotional problems and uplifts their self esteem. Remember reading the book EAT, PRAY, LOVE? It’s about a woman who was riddled with sorrow, had been in a bad relationship and had experienced a series of challenging events that left her deeply hopeless and in despair! She didn’t know how to go on in her life and in despair she drops to her knees and starts praying. She asks a higher force, which she didn’t know, to help her! She found herself praying to a higher force which she had never seen. She didn’t even know what she was asking for. BUT she did reach to a field that is bigger than herself, a field that had helped others throughout millennia before. Instinctively she knew in her heart: That the universe was listening. Soon, her life took a drastic turn for the better. She traveled to Italy and discovered the pleasures of life, discovered a new language and new food and most importantly she started savoring life, something she had not done in a long time. Next, she travel to Bali, fell in love on the island of the Gods and discovered the power of love and her heart. In India she discovered the power of higher states of consciousness, the power of thought, and the fact that our universe is much more mysterious than we had ever thought. All that happened after she had fallen to her knees, asking the universe to listen. What do you do when things get tough? Do you rehearse all the worst case scenarios, do you see yourself as a victim, failing and or suffering? If so, you are not alone. The mind loves to dwell on problems. But you can’t solve problems at the level at which they are created. You need to rise to a higher vantage point. Instead of being part of the millions of humans who dwell in soap operas, you can discover the power of your thoughts and the cooperative nature of the holographic universe. You can try this. Just close your eyes once a day for five minutes. Direct your thoughts to a higher force, like the center of creation, or the center of the universe. Ask for help. Ask for insights! You don’t have to fall to your knees and beg for understanding. As a matter of fact it works a lot better to direct your attention to this invisible force, and pre-envision your solution, or your success, or the resolution. You can leave the details up to the larger universe. The universe needs you to co-create your reality. If you can see your life turn out for the better than that is what likely will happen. Prayer is how humanity was taught to communicate with that higher force. We can call it what we may, the great big expanse, the IT if we wish. However even the Bibles states that we should not be beggars in our prayer, or our communication with God or the source. We are supposed to assume that we will be helped. Assume that your prayer was already fulfilled. Don’t beg, assume your knock on the door is answered. That is how we shift our reality around. The language by which the universe can hear us is through the language of feeling and imagery. If you can pre-create the holographic matrix inside yourself, the chances are that you will find that internal hologram soon to be manifest outside of yourself. We are living in a holographic matrix. What thoughts or emotions and believes you carry within yourself is what you soon will see without and around you. Describe what you want. Use your mind to say it, and be clear about your outcome. Feel the fulfilment of your wish in advance. Even if you just feel that fulfillment for 5 minutes only in the morning preferably it will work. See the images of your live like a movie unfold before you as if it were going the way you dream about. Create a blueprint of fulfilled feelings in yourself and then let go. The universe picks up on these feelings and is listening to every thought of yours. When you discover the power of your consciousness and the power of the universe and when you create the blueprint for your success in the form of silent prayer or silent but strongly felt focused attention, you will start turning your life around and live your dreams, your purpose and what you came here for. 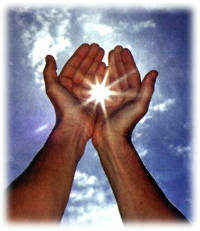 At LIVING FROM VISION it is our mission and passion to help people discover the power of their consciousness. 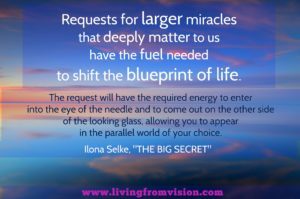 Join Ilona Selke in her MASTERCLASSES and take the Living From Vision online class. You can TEST DRIVE the Living From Vision course. Is the universe really listening? What you think the chances are that there is a greater force that is actually in touch with our innermost thoughts? Have you ever seen one of your thoughts being responded to by what appears to be an invisible force? Like maybe you were wishing for a parking spot and you got one? However, if that were true, if there really were a higher force that was listening in, wouldn’t it be the most phenomenal discovery of reality! With the advancement of artificial intelligence and virtual reality programming, a hot debate has been afoot, and people are starting to like in our physical reality to our latest metaphor: THE MATRIX. Even the developer of the Tesla car has been saying that he believes we likely live in a simulation. However, the description as to what reality is has changed according to our latest discoveries for the last few 1000 years. Each new advancement fraught with it a new worldview. Each new worldview opens new doors. Just think of how circumnavigating the planet would’ve been impossible without the conception that our earth was round. Do you ever feel like you would really like to have a guide on your hand that shows you around, and gives you the 101 of how the universe operates were and operating Manual!!! It is easy to get lost in all the many possibilities of how the universe functions. After all, not even our best physicists can give us an answer. Many stories abound of mystical experiences, of magical feats, which are superseding the laws of physic’s space and time abound. But whom do we believe? Maybe they are just stories? We’re trying to make sense of the universe and each time we expand our horizons, we have to update our communally held beliefs. In the olden days, the gods were feared and humans had no control over the natural forces. Instead of understanding the weather patterns, the gods were conjured up to be responsible for each of the elements. Agricultural communities feared the higher forces and made offerings and even sacrifices to these Nature Gods because they needed the cooperation of rain, wind, and the sun. And the age of enlightenment, at the end of the dark ages, humans discovered more and more of the laws of physics, and the Gods were starting to be get displaced, and humans imagine themselves to be living in a world, which was increasingly logical and predictable. In the postindustrial age in which we are currently in, a new hunger and thirst have arisen to understand the forces that lay just beyond the visible universe. Despite the fact that the natural laws seem to be calculable, we instinctively know that something else is going on. The universe is much more mystical and mysterious, and many of us that have been on the path of discovering the power of consciousness have already realised that we are more than just a cog in the wheel of our industrial grandfathers. At this very moment in time we have humans that believe that everything is inhabited by spirits or that everything is alive, we have those that believe in a single God (Monotheistic) we have some that think that scientific laws are all that there is and that the emergence of a conscious being such as a human happened simply by chance. How do you find your way through this Morass of possibilities? Find out the answers yourself. The magical power of the universe is such that you can actually prove to yourself that thoughts influence reality. If thoughts affect things at a distance for example, which there is so much Scientific Data and research at this point that supports that, some of which I recite in some of what logs and in my books, then we already know that we’re not living in a mere physical universe. If indeed you have observed in your life that you can focus on something and it either happens, or you can create something, you already know from your own personal experience, that this universe in some way is actually listening. 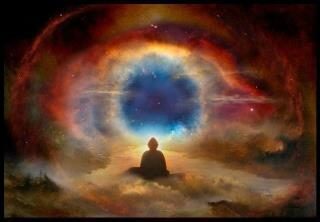 Becoming proficient at the skill, communicating with the higher force, discovering your own higher state of consciousness, that all takes time and training and can be experimented with. Over time you can prove to yourself that your thoughts, your own frequencies, your own beliefs for a shape and the fact the reality that you are surrounded by. And it doesn’t take you believing anything. It is not something you have to take blindly. It is something you can experiment with. And prove to yourself. The book is full of absolutely true stories, from small to large miracles, that I or my students experience. In the book, you will read some techniques and methods by which you can dive deeper into the mystery of the universe that is interactive. We’re living at a time when scientists and logical thinking has been her role that has the final solution to the cumbersome life of our ancestors who cowered in front of the forces of nature. But even physicists cannot adequately describe some of the irregularities in their experiments. Our scientists are trying to discover the smallest building block of the universe. They’re trying to understand what gravity is. But can you imagine them discovering that consciousness is at the root of it? And if consciousness is at the root of it and your conscious focus interacts with the physical universe, what do you think is really going on? I would love to hear from you and read your explanations. Post them here if you’d like. I will review it and permit all serious replies. Depending on your ability to believe something, it appears that it will prove itself to be true. At least in your own universe. Tell me your story of an experience where the universe was listening to you! And if you feel that the universe is listening, why do you feel or think that this can be? All serious answers will be posted! 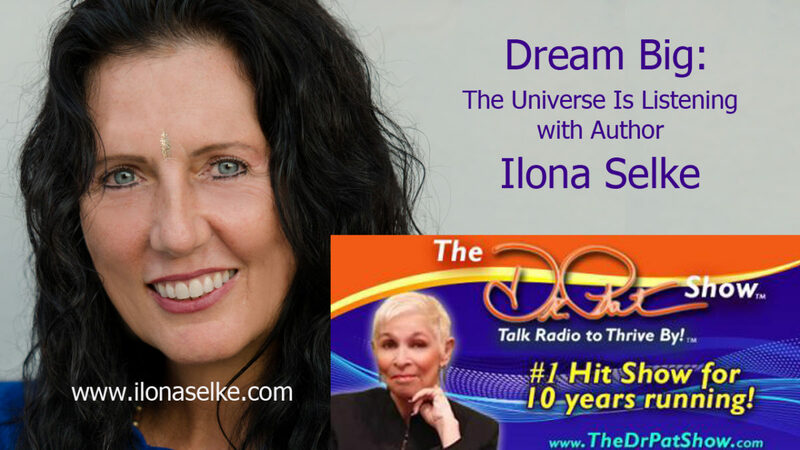 This interview is part of the DREAM BIG SUMMIT, interviewed by Ilona Selke. From Stephen Hawking’s theories on time travel to recent study of performance in athletes when they envision and experience their success prior to achieving it physically, the idea that we are affecting outcomes with our focus, events and things that exist outside of us in the ‘real world’ and outside of the ‘current moment’ has begun to inch its way into mainstream consciousness. But how do we take it from theory into practice? How can the everyday person who is not a scientist or a professional athlete hone their ability to create a better future for themselves and the world? 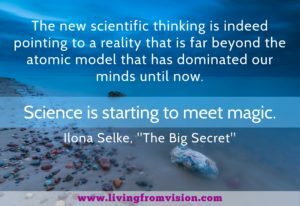 International bestselling author, seminar leader, lecturer, musician and dolphin whisperer Ilona Selke is opening the door for people of all ages and experience levels to begin the practice of self-betterment and global stewardship through her new book Dream Big: The Universe Is Listening. Two days ago I was in a breathtaking musical “Building a castle like a dream”, which is about the life of King Ludwig II, in a new performance. The colors, the shapes, the music, the creativity of the stage design, the beautiful music, everything was of the highest class. At least I was sitting over half the time in tears, while my heart and soul melted away. What touched me most was that King Ludwig II wanted peace in Germany instead of supporting the weapons industry. He wanted to experience and support nature, poetry, music. He was horrified to see that the many ministers who sat in the powerful positions cared only about the money and not for the soul of the people. 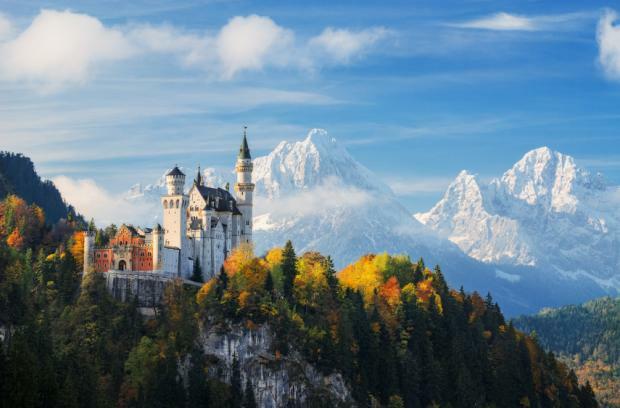 And what touched me most, of course, was the fact that he had truly followed his dreams all his life and left a living symbol for all of us, the castle of Neuschwanstein, which inspired so many more people even after his death. In this valley in front of the Neuschwanstein Castle here in Bavaria, near Füssen, there is really a higher dimension. I believe that had already felt King Ludwig II. And as I watched this musical, I wondered what my own deepest desires and dreams are still for this life. Inspired by this musical I am again reminded that dreams do move mountains, and leave a legacy for others. During the last three decades I have helped thousands of people realize their dreams, transform their lives, and live in a higher vibration. And now I ask myself again what is my own deepest heart’s desire. 1) On the one hand it is the divine power to which I wish to be closer , in my meditations and in my waking consciousness and be one with the indescribable goodness and beauty of the Divine. 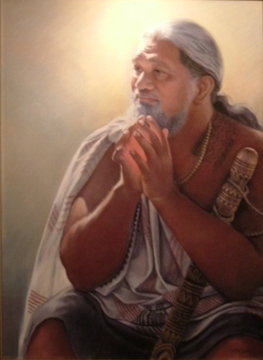 2) The second wish is to empower as many people as possible to live in Heaven on Earth. I want to help many more people still in my life to realize that we are really living in a holographic universe and that we are actually in direct communication with the universe. Heaven is not a place but an internal state! And we are imbued with the power to see it, feel it, enter into those frequencies by the power of our consciousness and our soul’s vibration. The universe is actually listening to us, and what we carry inside is reflected in the outer ..
Last year I’ve been to online summits in many radio interviews in the US and have appeared in American magazines. That’s why I’m all the happier to be able to release a book in Germany now. And of course I ask everyone who reads here now, what are your wishes and dreams. How do you dare to look deep into a soul and listen to what really means you? And are you ready to do something for it? With the life of the vision, you have a tremendous amount of support to, first of all, listen to yourself, and for the second day, to have support in making your dreams come true. Here are some very good questions by a reader of the book Dream Big the Universe is Listening . These may be questions that are universal and I feel that the answers may be interesting to you as well. I know you must be very busy so I will keep this brief. I would first like to thank you for all your life-changing works. You are empowering people to live the lives they were born to live and it is really quite revolutionary I must say. I had my mind blown after reading, Dream Big but I had a couple of questions so I hope you will have a minute in your busy schedule to address. Firstly, can one apply the principles of “dreaming big” to create miracles for other people or the world at large, or is this technique only to be applied to yourself and your own dreams and desires. For example, can I dream that a friend of mine is cured of her cancer and/or can I imagine there is world peace or no more hunger? Secondly, when one has more than one goal to attain do you dream and meditate on one at a time and wait for that one to be fulfilled before meditating on another. Fore example if I am wishing for a great job and a soulmate, can I spend 15 mins a day meditating on each of these dreams separately or should I just wait until I get my job first before trying to conjure up a soulmate? Many thanks to you for your time and God Bless! Thank you so much for writing your sweet kind words, and also your very honest and very useful question. I will use your questions in my answers for a blog. The question as to whether you can only change your own dream, or the dream at large is a very big and fundamental question. The biggest question of all is whether this life is truly like a dream, in which case everything you see could easily be all your own creation. Or, which might be easier to swallow in the beginning, the question is: Are you living within a co-creative universe, in which you are a co-creator. One thing is certain, the bubble of the world you see and experience around you reflects your subconscious and super-conscious beliefs. However and equally true, the techniques as described in the book Dream Big can be applied to changes on a global scale as well. 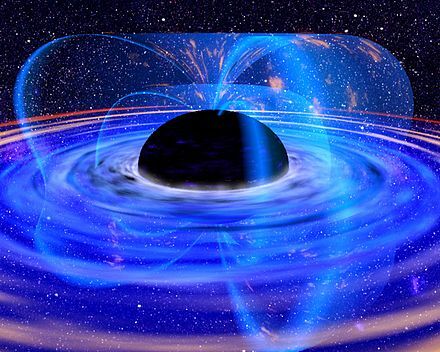 The effect we have on the hologram of our universe depend on how much we are willing to accept our total connection to that the larger field around us. To the degree in which you see yourself connected to everything and to the degree to you’re willing to see yourself reflected in the world outside of you to that degree you can create greater changes at a larger level. Generally speaking all you have to change is yourself. The world at large, and that can be your body, your immediate world, and the world in a larger more global sense, reflects your inner working. There is not one reality, there are zillions of realities, and they are all interfacing. Change the world within your dreaming UNIVERSE and you will see the changes reflected in the outside UNIVERSE. Each one of us is a co- creative unit of consciousness and has the power to create their own reality around them. But when looking at changing another person’s experience we need to look a bigger picture. Altogether it is better to teach other people the tools of co-creation rather than to meddle with their energy. We are autonomic units of consciousness. Each of us have our own center and become in a way the center of our own universe. Give a man a fish and you can feed him for a day. Give him a fishing-net and he can feed himself for a lifetime. There are healers who do the work for other people, and once and while it’s nice to go see a Doctor, or chiropractor, or an acupuncturist, or massage therapist to get the help needed , but in the end we need to make the fundamental changes within ourselves. And it is best to know how to heal oneself. And then there is the issue of taking on the energy, or the karmic lessons,or the karmic burden for that matter from other people . The energy pattern has to be transmuted and transformed into another higher expression. You can do it for someone, but will it hold. When you guide someone to do the change within themselves, the change is inside of them. When we do something from the outside, the change usually can’t be sustained. The moments where I have created changes in the larger field around myself, I’ve always asked that it is done without any karmic the percussion on my end, I asked that all be done under the total supervision of the divine force. In other words: I asked that the wish only be manifest if it was absolutely in alignment with the highest divine. Some of the stories that address your question around the scope of the holographic work, I wrote about in my book Wisdom of the Dolphins. You can get my e-book by going to my home page www.livingfromvision.com and by signing up to receive the free book version of Wisdom of the Dolphins. How many goals can one energize at a given time. Should you focus on manifesting one major goal at a time? In the Living From Vision course we set out to energize four goals within a five week period. That is how long it takes to complete the Living From Vision course. In the course you learn how to spend a few minutes on energizing each of the four goals in the morning. The exercise is done with the LFV App take a total of 12 minutes or so each morning and the equivalent amount in the evening. To learn how to energize multiple choices I recommend you take the Living From Vision course. You are asking in a way: Shall you choose two or three or more huge goals, and focus on those, or should you pick one big goal and focus on manifesting that one, until it is completed? Honestly, it all that depends on you. We have had people choose several large goals during the LFV Course and manifest them. Other people have picked one large goal at a time and manifested that one first and then picked the next larger goal in the next rerun of the LFV Course. I would pick some really deeply meaningful ones, that can be larger than life, as well as some smaller ones. That way you can practice your manifestation skills until you get the results and feel comfortable with how to go about manifesting your goals and feel confident. I hope I’ve answered your questions and given you some inspiration. 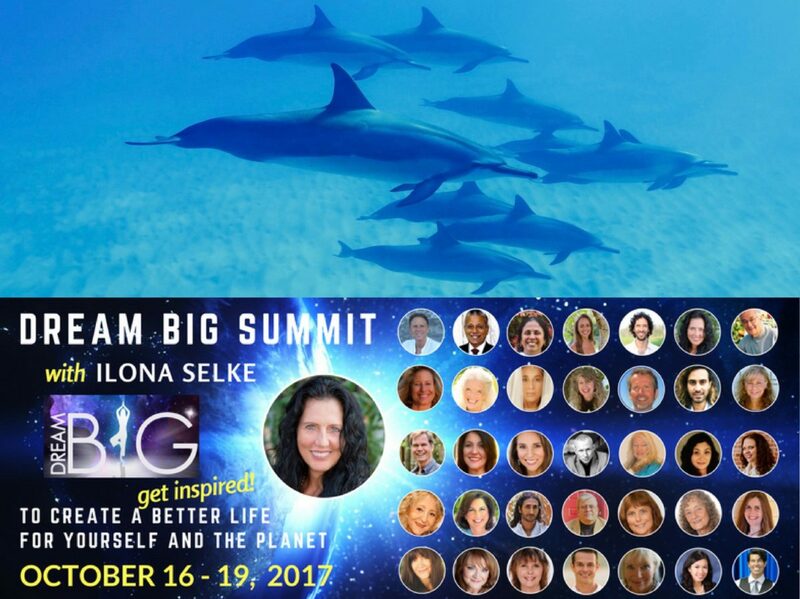 DREAM BIG Summit – Ripples into Infinity Inspired by Dolphin Consciousness. Creating a Better Life for Yourself and the Planet. Shall I or shall I not? I had just received an email where I had to make a fundamental choice: Stick to my ethics or go for publicity. I had been asked to participate in a dolphin summit because years ago I had written a bestseller book on dolphins called, Wisdom of the Dolphins. I had been speaking at a number of conferences about dolphins, telepathy, their power to heal, and the healing effects dolphins have had on handicapped children. All of my research had been with dolphins in the wild. I had been invited to speak at this dolphin summit, HOWEVER there was one condition: I was asked not to say anything negative whatsoever about swimming with captive dolphins. All of my research I have done has been with dolphins in the wild and this gag order not to speak up against captivity went against my ethics. I wanted to stay in integrity and not just jump in the Summit and say anyhow what I thought. That could have been done. A backstab of sorts, but I keep my words, so I passed up on the opportunity.